West Indies 4-197 (Marlon Samuels 85*, Darren Bravo 41, Rubel Hossain 2-63) beat Bangladesh 1-179 (Tamim Iqbal 88, Mahmudullah 64*, Kemar Roach 1-36) by 18 runs. Marlon Samuels destroyed the bowling attack of Bangladesh with plenty of sixes as West Indies piled up a massive total and ended up by winning the only T20. West Indies amassed 197 runs with six wickets in hand at the end of the allotted 20 overs. Bangladesh fought well by scoring 179 runs for the loss of just one wicket but lost the match in the end. 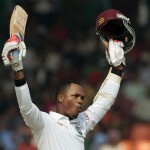 Marlon Samuels (West Indies) was declared ‘Player of the match’ for his explosive unbeaten knock of 85 runs. The only Twenty20 was played on Monday, December 10, 2012, at Shere Bangla National Stadium, Mirpur. Earlier, Darren Sammy, the captain of West Indies, won the toss and elected to bat as the innings was opened by Dwayne Smith along with Chris Gayle. The batsmen started off nicely by scoring 10 runs off the first over with a six from Smith and took the score to 25 when Gayle was gone on the last ball of the third over for six runs. Marlon Samuels joined in next with Smith who was clean bowled by Rubel Hossain for 24 off 21 balls with 1 six and 3 fours. Darren Bravo walked in the centre next and scored 12 runs of the first six balls he faced with the assistance of 3 fours. 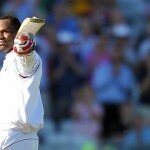 Samuels started the aggression with Bravo and the pair added 26 runs in the 9th and next over with 3 sixes and 1 four. Samuels was dropped by Mushfiqur Rahim off Ziaur Rahman on the third delivery of the 11th over at 10 runs. The third wicket fell at 96 in 11.5 overs as Darren Bravo was stumped smartly by Mushfiqur Rahim off Sohag Gazi for 41 from 28 balls with 2 sixes and 5 fours. Samuels was once again let down by Mushfiqur Rahim off Ziaur Rahman on the first ball of the 13th over as the next batsman Kieron Pollard hit a couple of sixes in the following two overs. The stumps of Kieron Pollard were dislodged by Ziaur Rahman for 15 runs as Lendl Simmons replaced him in the park. 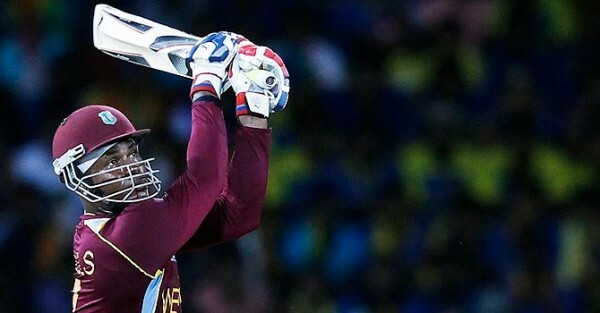 Marlon Samuels took over at the right time by hitting two sixes in the 16th over and achieved his sixth T20 fifty in the 19th over scored from 35 deliveries. He murdered the rival bowling by plundering 29 runs off the 20th over bowled by Rubel Hossain with 4 towering sixes and 1 four. West Indies hammered 197 runs for the loss of just four wickets in 20 overs. Marlon Samuels remained unbeaten for 85 from 43 mere deliveries with 9 massive sixes and 3 fours and Lendl Simmons secured his end with 18. Rubel Hossain was the top wicket taker with two whereas Sohag Gazi and Ziaur Rahman shared one wicket each. The Bengal Tigers responded in a great style with Tamim Iqbal and Anamul Haque as the duo hit 17 runs in the first over comprising 1 six and 2 fours. The tempo of scoring was continued as Tamim Iqbal dispatched three consecutive fours in the third over off Andre Russell. The openers contributed 47 in 4.2 overs when Anamul Haque was caught by Sammy at mid-off on the bowling of Roach for 22 runs. Mahmudullah got together with Tamim Iqbal as the first was dropped by Devon Thomas off Marlon Samuels when the batsman did not open his account. Mahmudullah joined the party with a six in the sixth over and Tamim Iqbal continued from the other end. They added 14 runs in the 10th over with 1 six and 1 four as the hundred of the innings appeared on board two overs later. Tamim Iqbal attained his third T20 half century in the 13th over as West Indies came back in the match by their accurate bowling. Tamim Iqbal punished Sunil Narine for 17 runs in the 16th over with 2 sixes and 1 four as Chris Gayle finished his excellent bowling spell of four overs while giving away only 18 runs under pressure. Tamim Iqbal hit 2 fours in the 19th over as Mahmudullah hit his maiden T20 fifty on the third ball of off the final over. Bangladesh reached 179 runs with nine wickets in hand in 20 overs, Tamim Iqbal was in the centre with 88 off 61 with 2 sixes and 10 fours whereas Mahmudullah was at the other end with 64 from 48 with 4 sixes and 3 fours. West Indies maintained their supremacy in the shortest version of the game by winning the only T20 against Bangladesh by 18 runs.